The South of England Classic Bike Show & Jumble celebrates 80 years of Associated Motor Cycles at the event on Sunday, October 28. Being formed from the amalgamation of Matchless and AJS in 1938, AMC produced machines at its factory in Woolwich which, after 1963, included Nortons. Guest of honour for the weekend will be Colin Seeley, known for his aftermarket frames and complete Seeley-badged machines. 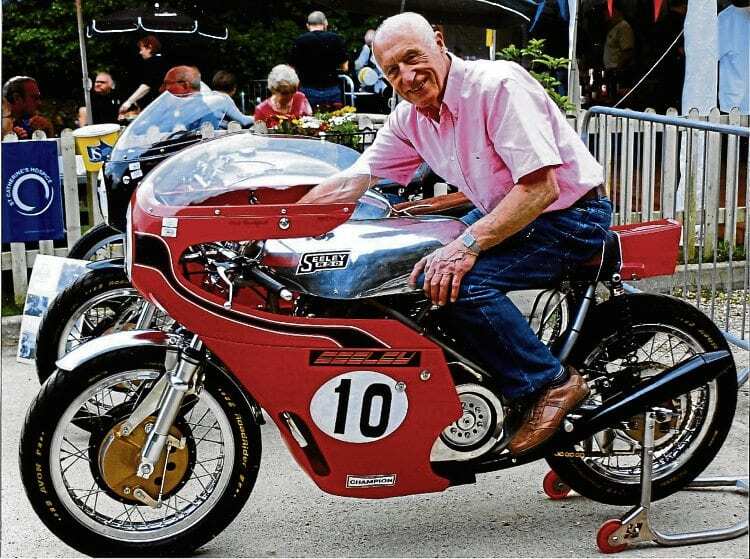 Colin purchased the AMC race shop when it closed and has had a long association with the company, regardless of his creation of the likes of Seeley Hondas and the GT500-engined bikes as raced by Barry Sheene (two of which will be in attendance). Sat atop one of his own creations, powered by an 850cc Norton Commando engine, this is Colin Seeley. Colin and other former AMC employees will take part in a question and answer session hosted by Brian Crichton and there will be an expansive display of Matchless and AJS bikes, thanks to the Sussex branch of the AJS & Matchless Owners’ Club. And, given the location of AJS Andover, there’ll be a number of the new, small capacity AJS-badged bikes on display as well. There’ll be a ‘fire-up’ area, alongside a mobile dynamometer, while there are five indoor halls of bikes and bikejumble, club stands and more, all for bikes of the pre-1980 time period. The show and jumble can be found opposite the Gardener’s Arms pub in Ardingly, West Sussex, RH17 6TL.